So, you have a new cat on your hands and he or she seems to think like the boss around town, making a mess of everything, constantly throwing sand out of the litter box and whatnot? Then it is time to train your cat. But, first of all, can you train a cat? I mean, can you actually make a creature that seems so independent and full of itself do what you want? Well, it seems that you can, according to countless happy cases found online. Best of all, it seems to be easier than what you previously thought. 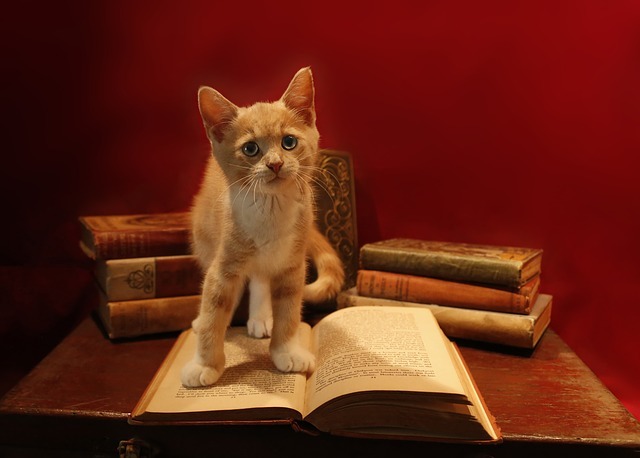 Continue to read this helpful article in order to find out how to toilet train a cat, how to leash train a cat, how to train a cat not to bite, how to house train a cat and so on. In other words, this little piece of writing will put you and your little furry companion on the right track towards becoming best (and well-behaved) friends. It is extremely important for you to understand that, contrary to the old-fashioned belief, you should never use punishment as a part of training. Can cats be trained? Of course they can, but not through coercive methods. Doing so will result in nothing more than a fearful animal who will do nothing but resent you. Discipline, as we often like to refer to when we don’t want to use terms such as ‘punishment’ and ‘coercion’, isn’t something that will work on cats. Punitive measures will just increase the stress level of your pet which can lead to some serious problems in regards to health and behavior; and keeping your cat off your furniture must also be done with consistency and above all, patience. Let’s say that you want to train a cat to use the litter box or you are looking at how to train your cat to use the toilet — you should always act with patience and positive reinforcement because these methods are essential for a well-trained cat to emerge. You will find that a clicker is something that is commonly used as a training tool for a bunch of animals, including cats. It won’t have you digging too deep in your pockets (the cost) and it will be a worthy aid in your quest towards giving positive reinforcements when you are beginning to train your cat. Of course, you can improvise if you don’t feel like acquiring a clicker. A regular pen with a clicky button can be used as well. The main thing which you can draw from here is that you will have to use a distinct noise which you can make instantly. In order to mark a desired behavior, most training sessions should include the offering of a treat which your cat really likes following a click. If you are wondering about the importance of the clicker, then let us explain. Without one, your cat might become confused because of the reasons why he or she receives a reward. However, if it follows through on a command, hears a click and then gets rewarded, that cat would be more likely to understand why this happens. First, you should place your cat’s litter box somewhere near the toilet. Then, you can gradually bring it closer and closer to the toilet seat. A pro tip which you can use is to bring a stool to make the process easier for the cat. Soon your cat will begin to feel accustomed to using the litter box in proximity of the toilet bowl. Once this happens, you can use a litter box designed to fit over the top of the toilet as an easier way of transition. You should buy litter meant to be flushed and expect spillover as well. Then, you can gradually reduce the amount of litter as your cat gets used to doing his/her business without it. Last but not least, you can remove the litter box entirely and watch the magic as it happens. Another important training required for a well-behaved cat is walking on a leash. First and foremost, you should get a leash that comes with a harness, as you mustn’t ever use a leash that attaches to your cat’s neck. Organizations like the ASPCA recommend introducing the leash and harness slowly to the cat. You can do this by placing them next to your cat’s favorite spots, such as the feeding area or her favorite snoozing spot. The reason for this is that your cat should become accustomed to how the leash looks like before you actually use it. Following this, you can drape the harness over while giving your cat a treat. Eventually, you can move on to securing the harness without the leash, starting with a couple of minutes and gradually increasing the time over the course of a week, let’s say. Once you see that he or she becomes comfortable, you can attach the leash and allow your pet to walk around freely inside with the leash on. Let a couple of days pass by and then you can hold the leash while performing training. The last step should be slowly easing into the great outdoors. You should start somewhere quiet so that your cat doesn’t get scared and allow some time to pass so that he or she can properly explore the new area. What you need to understand before you begin to train your cat is that the learning process can be slow and you really need to be patient. Remember how much time it takes for us, humans, to learn a new language or even to speak. Allow your pet the time he/she needs to learn and you will do fine.